MERIDIAN — Washington state Governor Jay Inslee has declared a state of emergency after the Center for Disease Control confirmed 26 cases of the measles in the Pacific northwest. "It would not surprise me if cases show up in Idaho with our close proximity to Washington state," said Dr. Kevin Wilson a physician and the assistant dean at the College of Idaho Osteopathic Medicine. 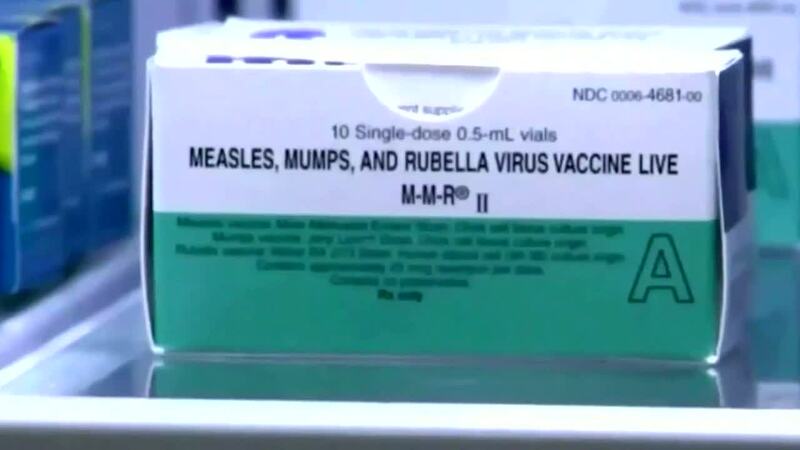 Measles is a respiratory virus that is highly contagious and it can be difficult to diagnose because symptoms like a fever, cough and inflammation of the eyes don't show up for 10-12 days before the red rash shows up. Dr. Wilson said the best way to guard against the measles is by getting vaccinated, but not everybody gets their children vaccinated in Idaho. "There is a significant number of folks that are not vaccinating for many reasons, religious and health wise," said Dr. Wilson. "The most important thing we can do is educate people because really it is the children who pay for the decisions of their parents." A survey by the CDC in 2017 found that 92 percent of children in Idaho ages one and a half to three years old have been vaccinated for measles which is compared to 88 percent in Washington, one of the lowest numbers in the country.